Over 8 years of successful operating experience. We have never failed to perform on a project as promised. Over 35 years of large scale systems development experience of the principals. Experienced, stable offshore resources with a broad range of experience. Our seamlessly integrated team of engineers provides you with a trusted and reliable source for on budget, on time, outsourcing of projects from the smallest application to the largest integrated embedded systems. Desktop PublisherPro - This is a low cost, high quality, full featured desktop publishing tool for the professional and novice alike. Desktop Publisher Pro delivers the power-packed desktop publishing solutions that power users need to transform concepts into stunning professional quality communications. Labels and Cards Pro - Premier general purpose labeling program that provides you with a complete label, barcode and mailing list capability. Creates virtually any kind of label. Allows you to easily maintain a mailing list database and use it to generate personalized form letters. Barcoder - gives you the ability to create many types of barcodes and print them on any of the Avery label templates provided. Also, you can save the barcode as either Barcoder document or store it in a PICT file, for importing into another application afterwards. Barcoder calculates and shows you non-printable areas to ensure the right positioning. Sequential Numbers feature allows you printing sequential barcodes, which is often necessary. 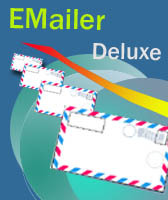 EMailer Deluxe - is an electronic mail-merge program which manages all your contacts. Your e-mail messages are use mail lists that base on the data stored in databases. The product allows you to create new databases, or import databases on a number of formats using ODBC mechanism, including dBase, FoxPro, and Paradox. It lets you create and send personalized email messages to lists of contacts that is based on a desired database. Desktop Calendar Pro - Welcome to the DesktopCalendar Pro. With this powerful program you are able to create bright and attractive Yearly. Monthly, Weekly, and Daily calendars. Your Custom Application - Penetrate the market and take command of your competition. Let us help you put together the high quality program that will become your next cash cow. Our extensive base of software and experience allows us to create your dream application quickly and inexpensively. We provide complete support and enhancements during the product life-cycle.